From a lawyer's perspective, the key purpose of a website privacy and cookies policy is to help a website operator comply with data protection and cookies legislation. In the UK, from 25 May 2018, that will mean compliance with the General Data Protection Regulation (GDPR) as well as the Privacy and Electronic Communications Regulations. One of the principles of the GDPR is transparency: data controllers must provide information to individuals about the personal data that they process. The GDPR specifies the information to be provided in considerable detail. One critical task for controllers is to identify the legal bases for their processing - and, where the legal basis is "legitimate interests" to identify those interests. This template has been designed to make this process as easy as possible. Information must also be provided about the recipients of personal data, including both other controllers and processors. 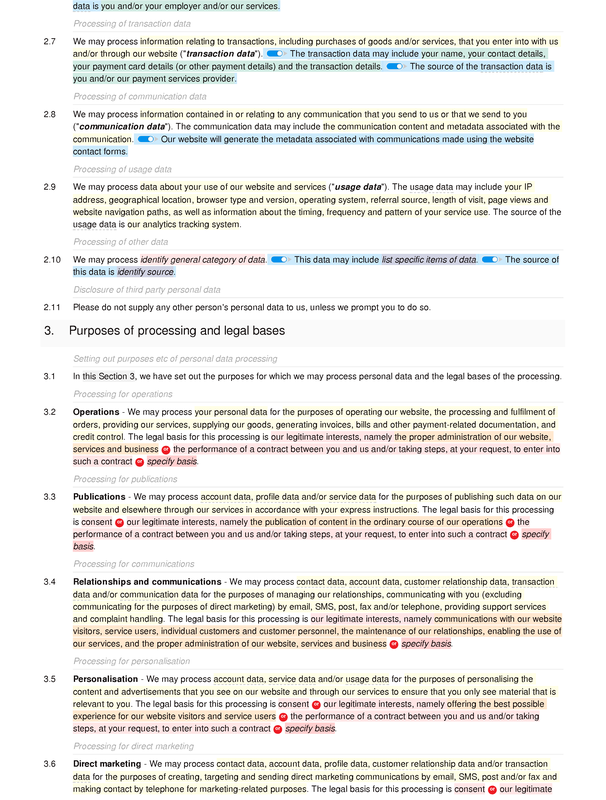 Moreover, where the transfer to a recipient involves a transfer of data from within the EEA to outside the EEA, information about the "appropriate safeguards" used to ensure the transfer is lawful should be provided. Again, the templates can help you to set out this information in a clear and concise fashion. 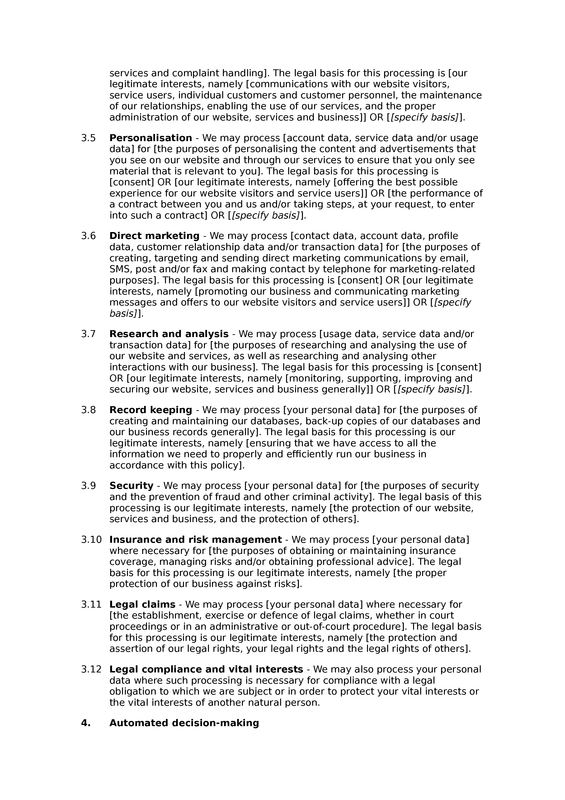 Other provisions of the template cover: profiling and automated processing, data retention, security, data subject rights, processor information, cookies and controller information. 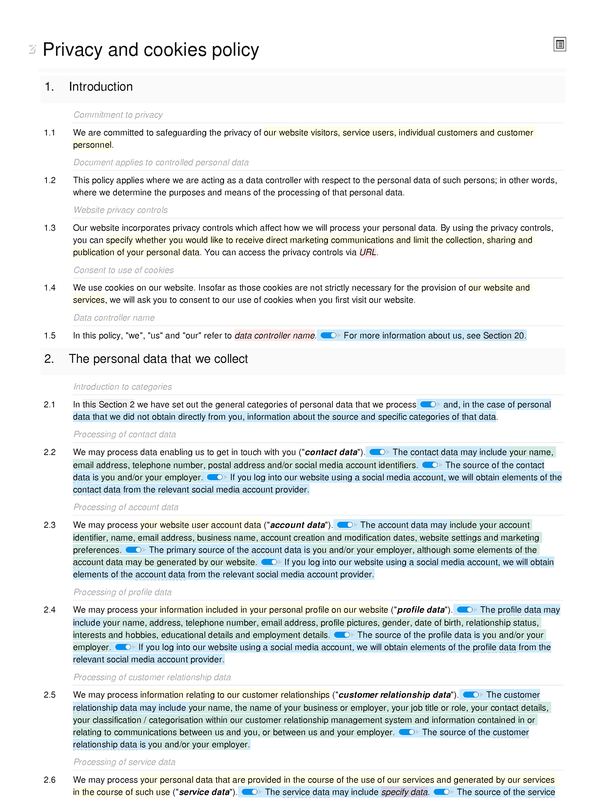 The language in this policy is unlikely to be sufficiently simple for use in connection with the collection of personal data from children. This policy is suitable for use on and from 25 May 2018. Automated decision-making: personal data used in automated decisions; logic involved in automated decisions; significance of automated decisions. 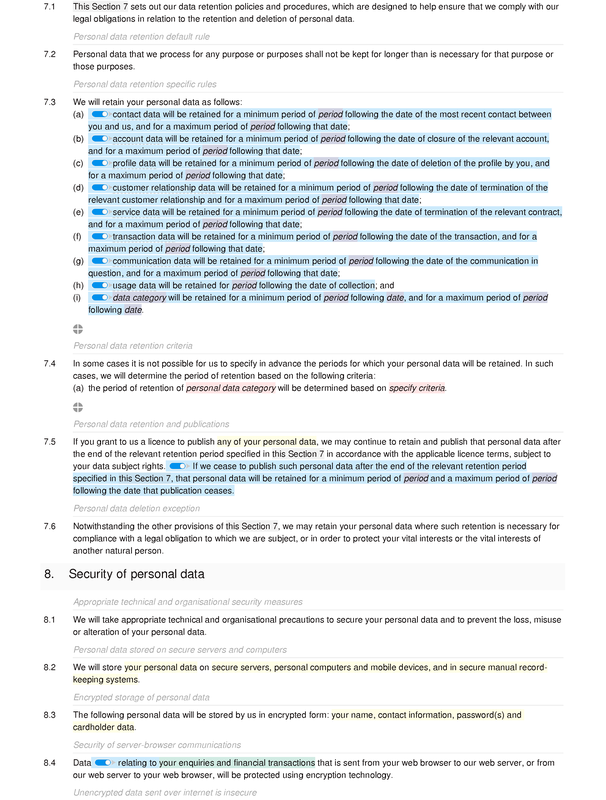 Security of personal data: appropriate technical and organisational security measures; personal data stored on secure servers and computers; encrypted storage of personal data; security of server-browser communications; unencrypted data sent over internet is insecure; password security. Third party websites: hyperlinks to third party websites; no responsibility for third party privacy policies. 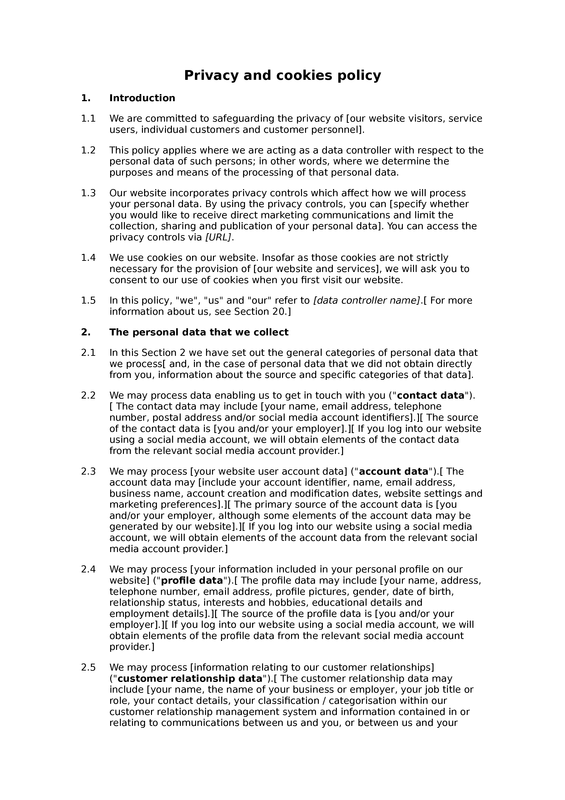 Personal data of children: website targeted at persons over specified age; deleting personal data of children. Updating information: correcting or updating personal information. Acting as a data processor: acting as a data processor; not applicable as data processor. 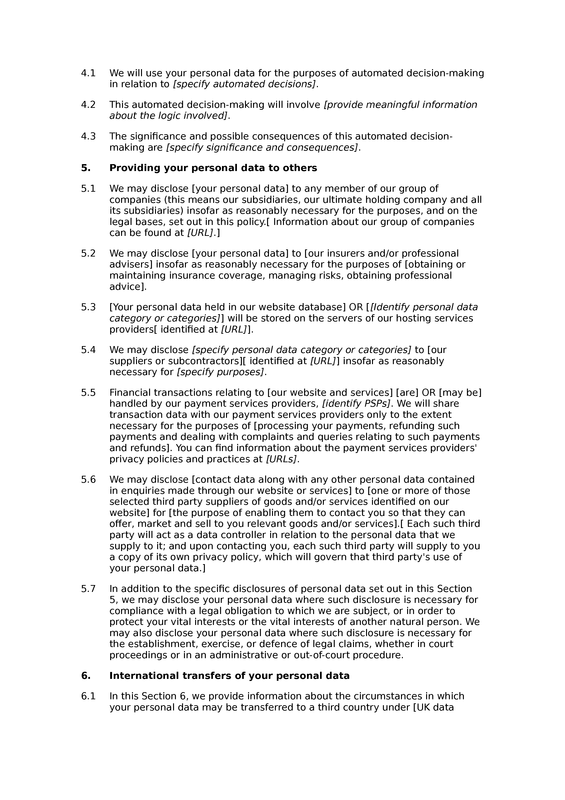 Data protection registration: registered with ICO; data protection registration number. 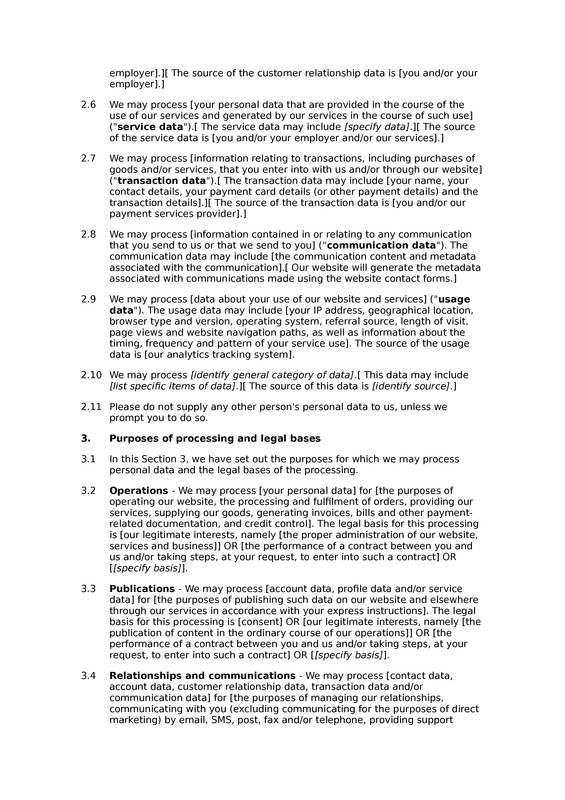 Representative within the European Union: identity and contact details of representative of data controller.